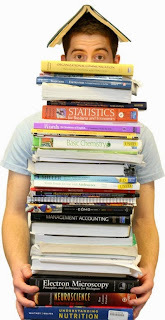 mommy's reviews: The Benefits of Renting Your College Textbooks! We are currently in December which means that a lot of college students are looking forward to a new semester and putting the old one behind them. That means one thing...it's crunch time and also it is time to start shopping for new college textbooks. Ok, I am a college graduate and have an Associates Degree in Administrative Assisting. I remember my college days very well and the one thing that seems to be an issue for any college student is money. I never had any. Ha ha! I worked two jobs and made it through about 1 year of college by paying cash. However, the cash soon disappeared no matter how hard I was working and I ended up getting loans. Yuck. Anyway, I think the biggest financial drain of college besides tuition was having to buy books. Books that seemingly were never used and just sat in the book bag, only opened on a few occasions. That drove me nuts. I spent hundreds on books and never really used them. Many of them were in brand new condition at the end of the semester and the textbook company was the only one that benefited. To me, this would have been such a huge help...I dreaded having to buy my books and since I rarely wrote in my books, this would have been a great option. I am just spreading the word so other college students know about this wonderful company. In conjunction with the CampusBookRentals website, there is also an option to rent out your textbooks to other students. This is also a fantastic way to make 2-4 times more money that selling books at the end of the semester (which hardly gives you any money at all). RentBack.com rents you books to students and you get paid for it! Waaaay cool. Check out this quick video on how it works. So, whether you are looking to buy or sell your books, be sure to check out these sites as they have some wonderful options that will save and make you money! Both of those options are a big plus for any college student. My son has rented some textbooks from CampusBooks Rentals. It is super! You just put the books back in the prepaid envelope and mail when your time is up with them. We do save money.